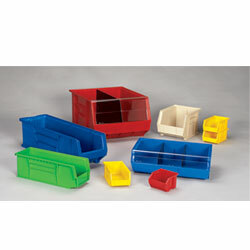 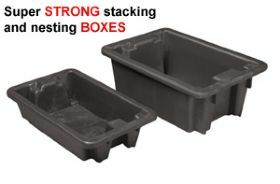 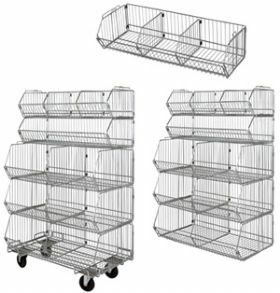 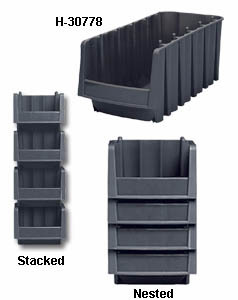 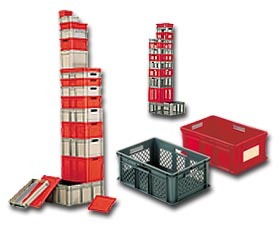 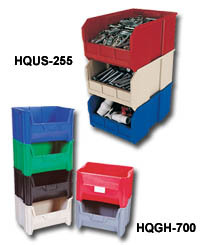 Find the lowest prices on plastic stackable and nestable containers at Material Handling Solutions. 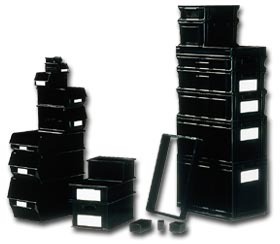 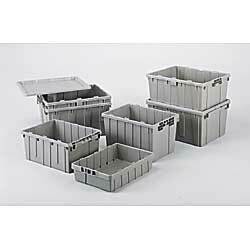 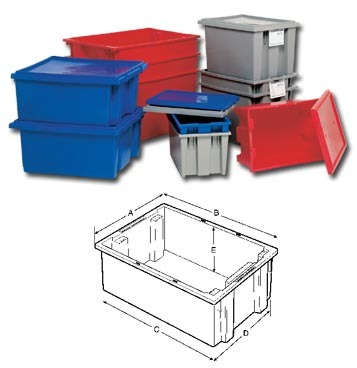 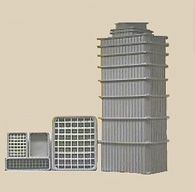 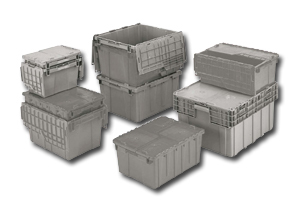 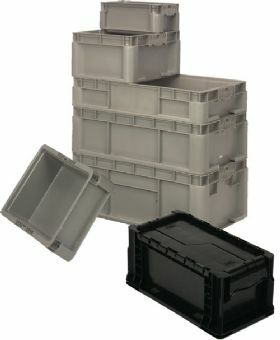 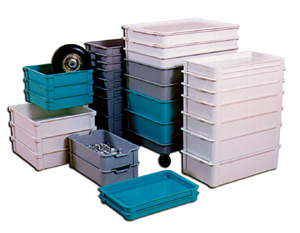 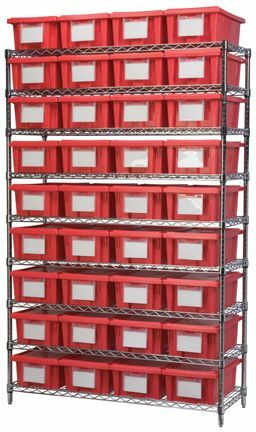 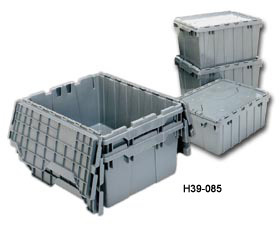 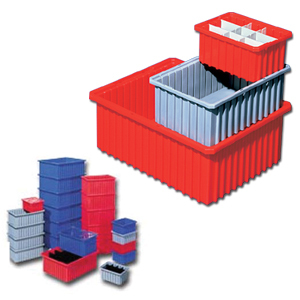 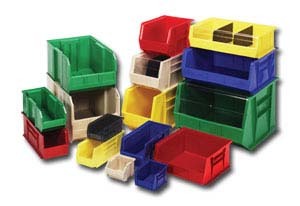 We carry a large selection of industrial stackable and nestable containers. 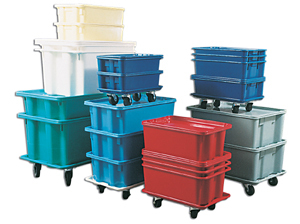 Uses for our industrial containers are conveyors, material handling, industrial storage, raw material storage, raw material transport, and inventory transport. 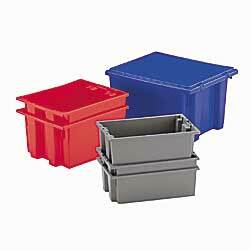 These are also used in airports at security checkpoints, schools, and to organize anything where a plastic container is ideal. 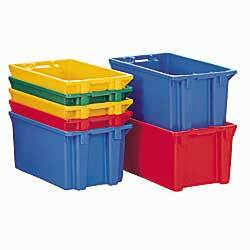 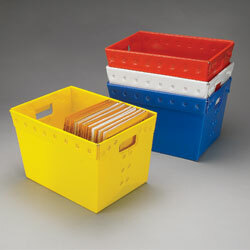 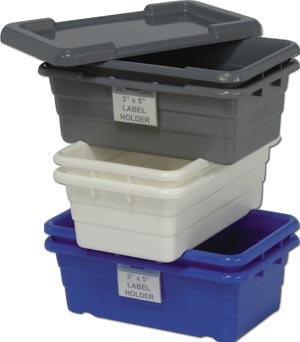 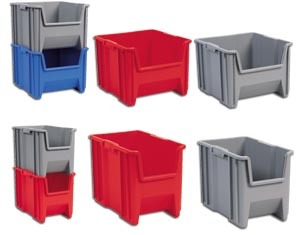 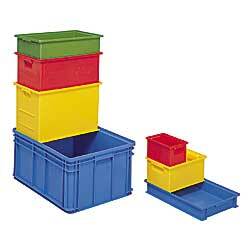 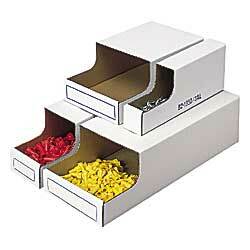 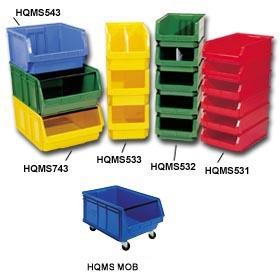 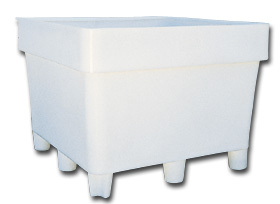 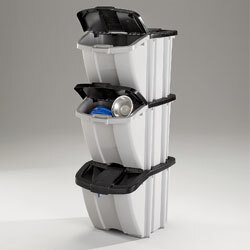 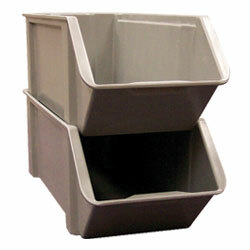 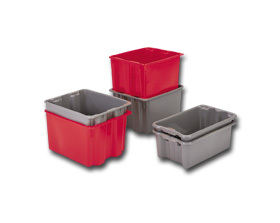 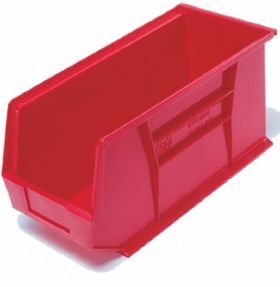 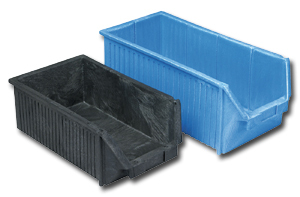 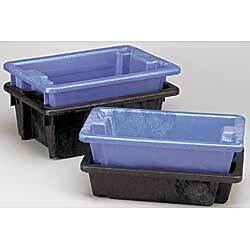 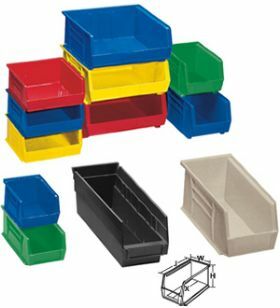 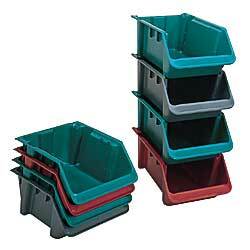 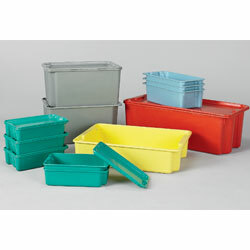 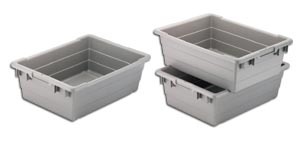 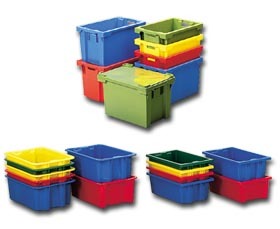 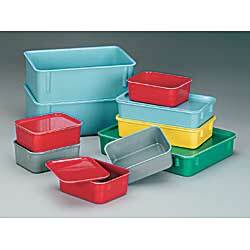 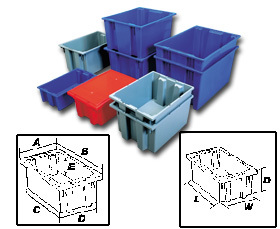 We also carry plastic tubs and totes which are stackable and nestable.